After prior rumors, it’s now official: Hawkeye is getting his own Disney+ show… Or rather, a Disney+ show about the Avenger training a new Hawkeye by the name of Kate Bishop. 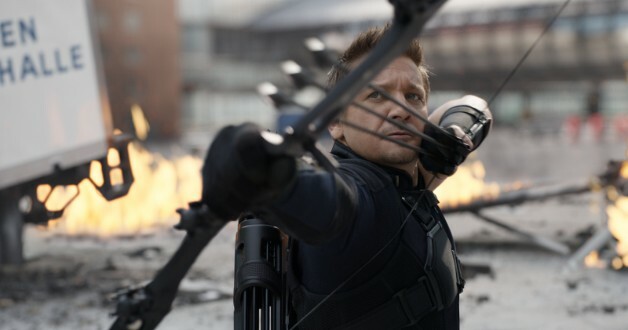 Jeremy Renner will reprise his role as Clint Barton from the Marvel Cinematic Universe movies. Variety has revealed that the passing-the-torch narrative will get its own limited series on Disney’s burgeoning streaming service. While plot details are currently scarce, Hawkeye’s situation as a family man in the events leading up to Avengers: Endgame likely means that the show will be set afterward. Early rumors indicate that Barton begins the series retired from superheroics, but comes out of retirement when he learns that there’s another person using his alias, and she’s in trouble with the Russian mafia. The elder Hawkeye will keep in touch with his wife and kids (with Laura Barton actress Linda Cardellini apparently interested in being a part of this story) while he shows the ropes to his younger ward. It’s believed that some of the Disney+ shows will lay the foundation for future movies (and other shows) by focusing on smaller narratives that have a larger amount of room to breathe in. The younger version of Hawkeye is said to be a key member of the Young Avengers, which is a likely avenue for Marvel to explore with many of the old guard retiring from the setting (at least for the time being). Meanwhile, this likely indicates that Renner could reappear in future films if the story calls for his appearance… Although, after everything that happens in Endgame, it might just suit him best to be a family man. Hawkeye is reportedly in development for Disney+. Other Marvel projects confirmed to be in development for streaming service include What If?, Loki, The Vision and Scarlet Witch, and Falcon and the Winter Soldier. Additional projects that are rumored from less reliable sources include Lady Sif and War Machine projects.